stood one of the eleven water gates around the island called Pratu Khlong Klaep. 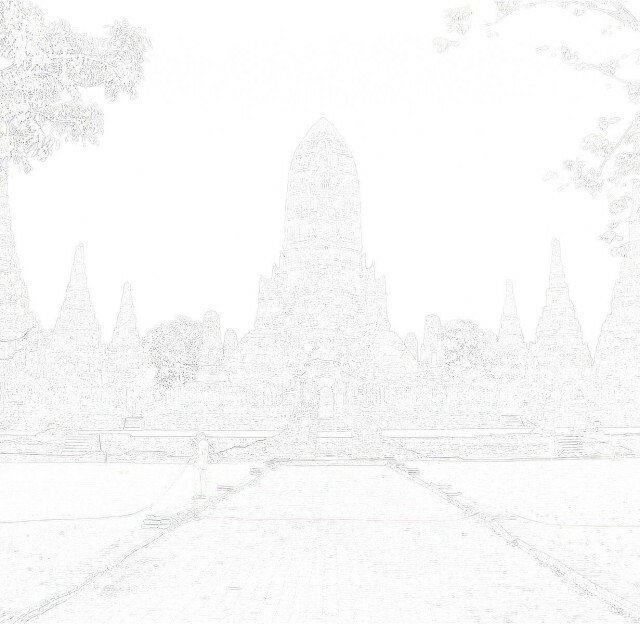 Wat Phra Ngam. 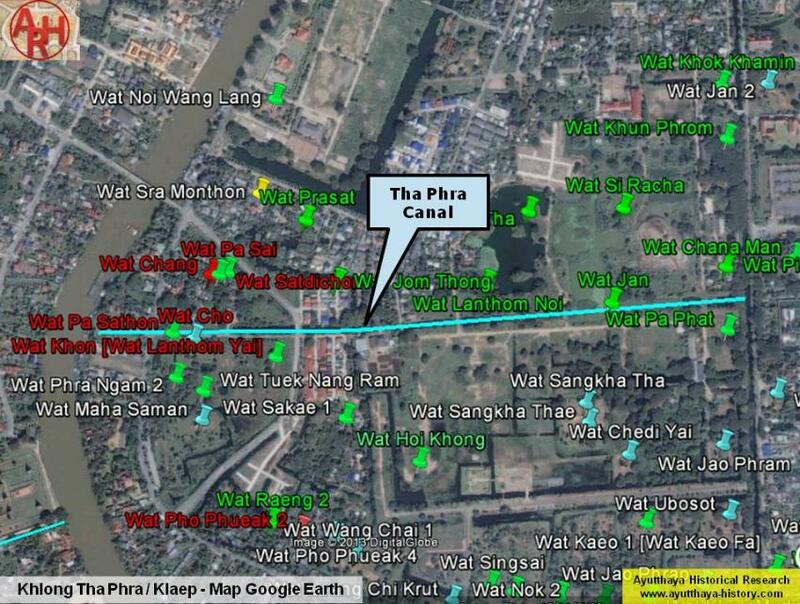 In the middle of the canal, but in fact not much likely stood Wat Jan.
Lanthom Yai), Wat Cho and Wat Phra Ngam. been more monasteries along this canal as indicated by the mid-19th century map. likely to one single temple and from here onwards I call this cluster Wat Chang. 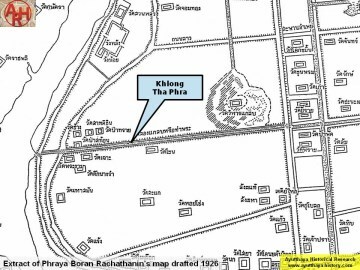 Thong and Wat Lanthom Noi on the north bank were likely never excavated. on the mid-19th C map. Wat Chon and Wat Cho. Wat Vihan Klaep higher up in the marsh. (1) ท่า: landing พระ: monk - Canal of the Landing of the Monk. (2) แกลบ: chaff / paddy husk- Paddy Husk Canal. 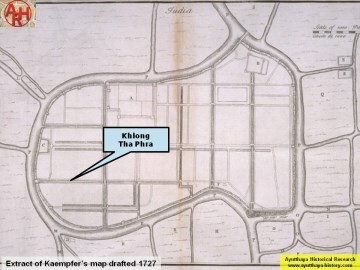 Wat Pa Phat as Khlong Pa Phat. (5) See "The Boat & Ferry Landings of Ayutthaya". print office - Nonthaburi (2007) - page 91-92.